Colin Noble Jnr’s lead at the top of this year’s Sunoco Whelen Challenge standings narrowed to less than a point at Silverstone last weekend, while both Shane Kelly and Alasdair McCaig also lost ground in their pursuit of the 240 Challenge crown. A low turn-out, and therefore fewer Sunoco Challenge points on offer, for the latest Henderson Insurance Brokers LMP3 Cup round at Silverstone left Colin Noble Jnr facing an upward battle to maintain his near-10-point advantage. Indeed, his victory and second place would ordinarily have generated a decent average score, but – with only 60% of the total points on offer – the Ecurie Ecosse driver instead saw his advantage slashed to just 0.96 over British GT4 championship leaders Alex Reed and David Pittard, whose campaign continues at Spa-Francorchamps this weekend. A perfect end to the season at Snetterton and Donington would help Noble Jnr accrue a final average score of 99.25 points, although that’s dependent on a minimum of 10 cars competing in each of the final four races. By comparison, Reed and Pittard’s theoretical maximum from their remaining four races is 104.10. However, it is impossible for both to finish on that score as only one can record the fastest lap in qualifying and each race. Less than 10 points covers the next 10 drivers, but it’s British GT3 Pro Matt Griffin and his GT4 Pro counterpart Stuart Middleton who remain closest to the leaders at this stage. Both are now just 7.38 points behind Noble Jnr. Elsewhere, Adam Mackay, Mike Robinson and Matt Bell are all separated by less than a point, the latter having dropped from fourth to eighth – despite finishing first and second – as a result of LMP3 Cup’s smaller grid last weekend. It was a similar story for Stuart Moseley whose two poles and fastest laps at the Hungaroring still weren’t enough to overcome a second, fourth and DNF against what was a comparatively low Radical European Masters entry. Drivers competing in the LMP3 Cup, F3 Cup and GT Cup at Silverstone last weekend all missed the chance to put pressure on long-time Sunoco 240 Challenge leader Jessica Hawkins, whose Mini Challenge R50 Cooper campaign resumes at Brands Hatch this weekend. Shane Kelly required a strong F3 Cup outing in order to reduce his 16.19-point deficit, but actually lost a little ground after adding only a second and sixth to his two fastest laps. He remains fourth, behind British GT3 Ams Rick Parfitt Jnr and Jon Minshaw, but just ahead of Alasdair McCaig. While the Scot’s co-driver, Noble Jnr, suffered as a result of the reduced LMP3 Cup entry, McCaig’s two fastest Am laps combined with a victory and second place helped restrict the damage to an overall 2.45-point loss. The rest of the top-10 remains as it did before the weekend, with Graham Johnson best of the British GT4 Ams in sixth ahead of Mini Challenge JCW front-runner Brett Smith, and Hawkins’ R50 Cooper rival Matt Hammond. 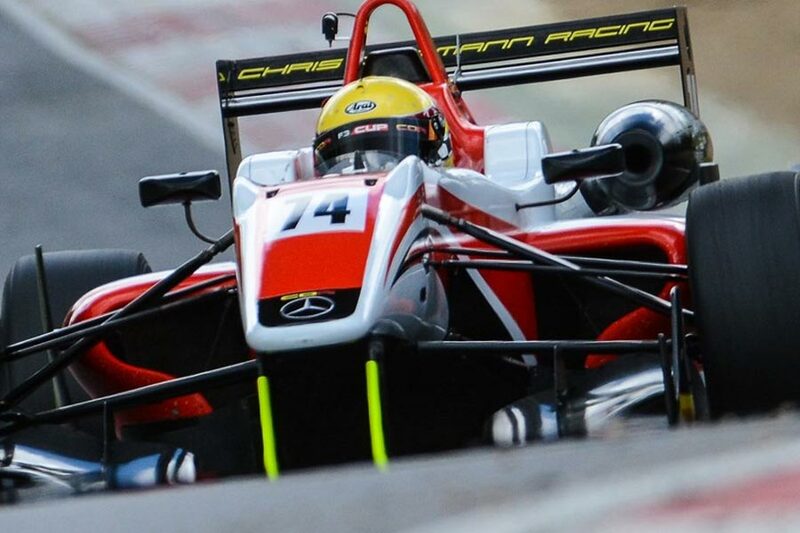 His advantage has increased by 0.31 points over Jacopo Sebastini who, like F3 Cup rival Kelly, was compromised by race-by-race competitor and non-240-registered Wade Eastwood claiming both victories and pole positions at Silverstone. Several of the weekend’s few improvements came in GT Cup’s GTA class ranks. Dominic Paul moved up one place and 1.48 points to 12th overall, while co-drivers Nick Mercer and Gary Smith jumped eight spots to 16th and 17th. This weekend sees Sunoco 240 Challenge’s top-three go head-to-head, albeit on different sides of the English Channel. Mini Challenge R50 Cooper ace Hawkins is at Brands Hatch where she will be keen to extend her current 2.96-point lead over Parfitt Jnr who, like Minshaw, is racing with British GT at Spa-Francorchamps in Belgium.